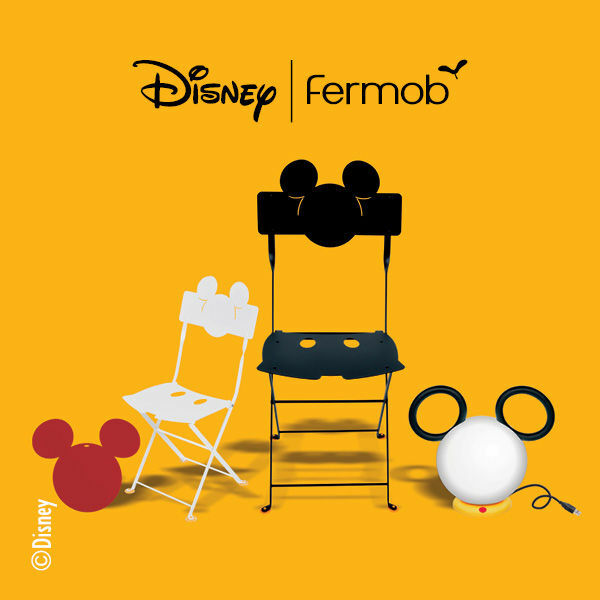 Mickey parade at Fermob with a new collection! To celebrate 90 years of the famous Disney mouse, the French manufacturer has chosen to pay tribute to him with an exclusive design collection ... 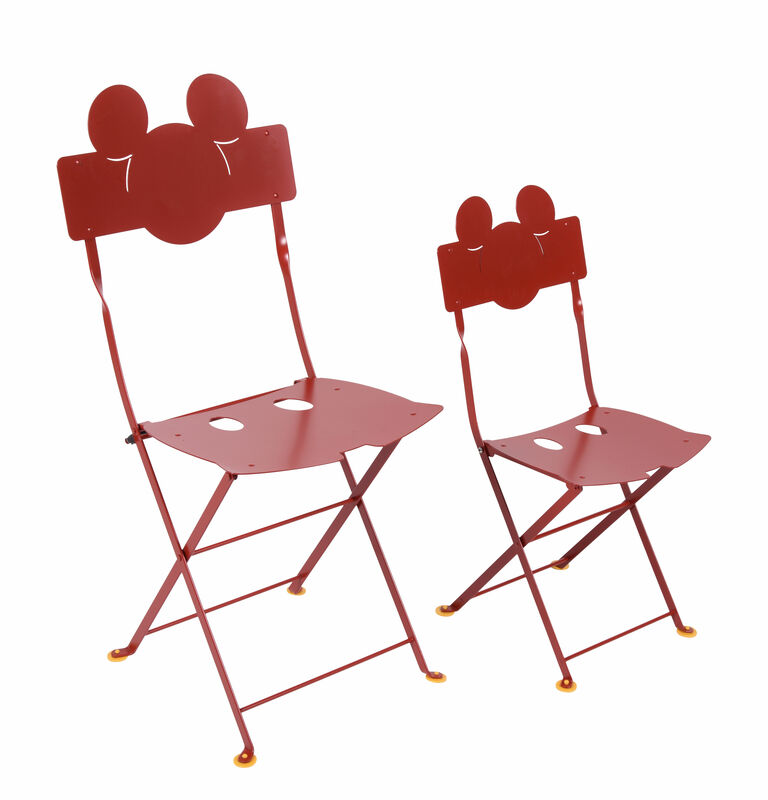 The Mickey Mouse profile is combined with four products from the brand: the famous Bistro chair for adults and a kids’ version, a go-anywhere outdoor light and a table top. A co-branding that brilliantly brings together the essential values of the two brands via accessible, innovative products that look great! Bring a friendly feel to your everyday life with this Mickey Bistro folding chair, which retains the look of the original seat. Always ingenious, simple and cheerful, with an extra touch of fantasy since it has the ears of Mickey and his buttoned shorts! 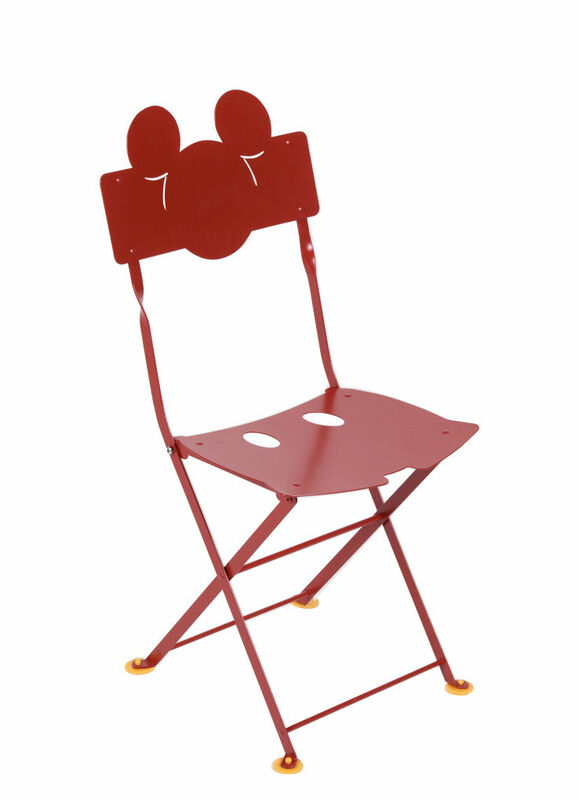 Fermob brings you a subtle, abstract reinterpretation of Mickey’s iconic silhouette through its famous Bistro folding chair. 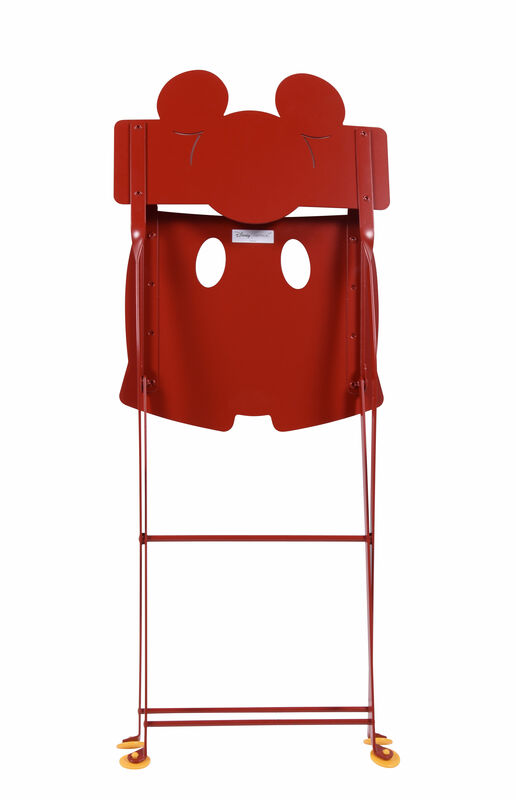 This folding chair is ideal for making a very nice dining area, inside and out: kitchen, balcony, on the veranda or on a terrace. Offered in four Disney colours in an adult or children's version, it loses none of its charm and authenticity. Compact and ideal for tight spaces. Timeless and iconic, we’ve loved the Bistro collection for more than a century. Times Square or Bryant Park in New York have never resisted its “so French” style. Created at the end of the 19th Century, the foldaway furniture was an immediate success with cafés: Solid, lightweight, simple and easy to fold away, it was the star of terraces in Paris in the 1900s! In 1889, Fermob registered a patent for a range of foldaway lacquered steel furniture: The Bistro collection was born.